Using marijuana is legal in California, but apparently, if you’re up for top-level security clearance with the U.S. government, you may want to think twice. The Orange County Register reports The Pentagon is reviewing the federal security clearance of California tech billionaire Elon Musk following an on-air marijuana toke on a comedian’s podcast last fall. Musk reportedly refiled the SF-86 security form required of federal contractors and/or employees who seek security clearance. The form requires filers to answer truthfully whether they have used any illegal drugs at any point in the previous seven years. Musk reportedly had a higher-level secret clearance, thanks to his position spearheading a company (Space Exploration Technologies Corp. – SpaceX for short) that is permitted launch of military spy satellites. The company’s day-to-day operations aren’t overseen by Musk, and the company won several national security space launch contracts in the wake of the podcast, but the Register reports it’s only with the refiling that Musk may have some issues. Los Angeles marijuana employment attorneys know that while most people aren’t grappling with billions of dollars or military spy programs and top-level security clearance, many ARE dealing with employers who are leery of cannabis use. Federal law places very few restrictions on employer drug testing of employees or prospective hires. The right to drug test employees/potential hires extends beyond just those in government jobs to those in the private sector too. California courts have held that the employer’s reason for drug testing does need to be balanced with the right of the employee for privacy. State courts have held it is lawful for employers in California to require applicants to pass a drug test as a condition of employment – so long as all applicants for a certain position are tested and there is no singling-out of applicants on an unlawful basis. 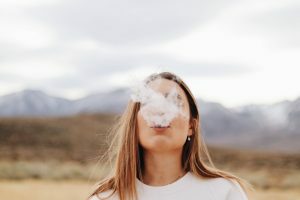 Although California law allows individuals to use marijuana for medicine or for recreation, there is no requirement that employers must hire a person who tests positive for marijuana. In fact, the California Supreme Court has held that employers are not required to do so – even if they are prescribed the drug for a disability. Still, employers may be on less solid legal ground in drug-testing existing employees, absent some reason to suspect drug use. In most cases, one’s off-the-clock use of the drug in California is increasingly less of an issue, as the stigma of marijuana use subsides. But as Musk found out, even billionaires aren’t necessarily immune from the impact in some cases, particularly considering marijuana use remains a federal crime, despite the fact that nearly three dozen states have taken measures to decriminalize it. Musk’s decision to smoke marijuana during a podcast discussion with comedian Joe Rogan highlights the discrepancies between state and federal law pertaining to marijuana, but as many federal attorneys noted, the security clearance challenges should come as no surprise. Although it’s possible the U.S. Defense Department could simply close the case and update Musk’s record without issue, it should be noted that smoking marijuana is considered a “serious breach of security protocol” and rounds for termination of a federal employee or loss of clearance for a contractor. A department spokesperson said the agency doesn’t comment on individual applications, reapplications and reviews for individual security clearances.